FUNtastic Dental and Orthodontics has been the preferred Long Beach dentist for improving kids' smiles for over 15 years! The team at FUNtastic Dental has dedicated years of practice and study to the fields of pediatric dentistry and orthodontics. Not only have they achieved the highest degrees in pediatric dentistry and orthodontics from prestigious schools, they have also spent time shaping their practice to be fun for kids. 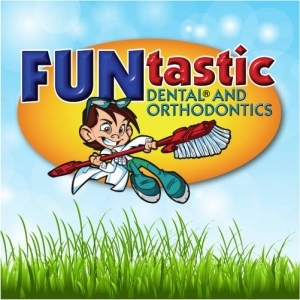 At FUNtastic Dental, we strive to instill a positive view of the dentist and orthodontist and remove any fears that children may have about visiting a dentist, a view that we feel will help them to continue routine dental visits and proper dental hygiene into their adult years and beyond. At FUNtastic Dental, our orthodontist office offers several options for straightening teeth. Whether braces are needed for your child or your teenager, we have options that will make them feel good about straightening their teeth and less self-conscious about having braces. We want your child or teenager to feel great about their smile now and for years to come.